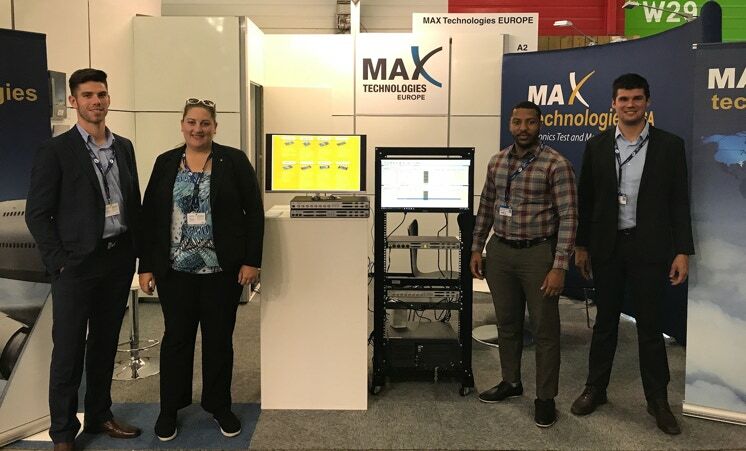 MAX Technologies participates in exhibitions around the world. Come meet us to discuss your projects. Our representatives will also be happy to show you our latest products. MAX Technologies team at the 2017 Paris Air Show. From left to right, Cyprien Chauvet from our office in Canada, Samantha Reynolds and Michael Taylor Jr. in our USA office and Manel Pouget from our office in Paris, France.